Everyone likes to save money and one of the best ways to do so is by winning a scholarship to the university you wish to attend. 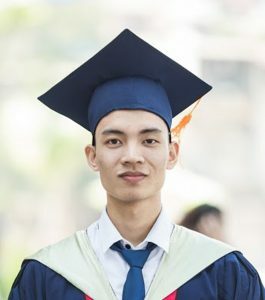 There are many different types of scholarships but they generally fall under two categories: academic and athletic scholarships. Academic scholarships are awarded to outstanding young scholars on the basis of their academic achievement. Now, this may appear to be an obvious statement yet it has many ramifications. As we all know, everything is relative and what may be an outstanding scholar to one institution, to another he or she may be simply mediocre. How so? Well let’s take an example. Let’s suppose that prospective student ABC has scored high in the SATs/ACT and accumulated a number of other qualifications and wants to apply to an Ivy. The demands of the Ivy League universities are extremely high and the competition is fierce and so ABC’s application is simply average and will not warrant the awarding of a scholarship; or the Ivy League university does not award generous academic scholarships. However, a little further down the rankings, at another university, ABC’s application is considered well above the average and that university particularly wants to have ABC as a student. Then that university may well offer ABC a healthy scholarship based on his or her academic credentials. Athletic scholarships are a much more convoluted affair. Firstly, it depends on which sport the prospective student is seeking to win a scholarship for. Generally, the more money there is in a sport the more likely there will be scholarships available. Consequently, sports such as basketball, soccer, tennis and football are especially generous with scholarships whereas other less lucrative sports are not nearly as generous. Secondly, an applicant’s academic credentials can make all the difference in combination with his or her athletic achievements. For example, a swimmer with great times but SAT/ACT scores well below the average may not be offered any scholarship whereas another applicant with a strong academic background will secure a really hefty scholarship. The message is clear: the higher your academic scores are the greater the amount of the scholarship. If you are a great athlete and a half decent scholar then you can expect some very attractive scholarship offers. At AGF Tutoring we have dealt with many young athletes over the years – world ranked swimmers, tennis players, basketball players, water polo players, golfers and so on – who have represented their home nations. At your disposal, we have world class consultants, former basketball and tennis professionals, and Olympic athletes, for example, who know exactly what your program of study should be, and where, to get the most out of your chosen college or university. Therefore, we are in an excellent position to guide you through the process of applying for and eventually securing a scholarship at a great university. Please book your free introductory session with one of our top-class consultants now to get more specific information as to how you can win an academic and/or athletic scholarship.